A highly competitive and diverse industry, retail has been under increasing pressure to use every technological means available to better understand and serve the customer. For operational improvements such as inventory management, as well as more effective marketing and more varied, broad and transparent access to the customer, predictive analytics can offer opportunities to retail companies across the board. This powerful, rapidly developing platform offers strong value in the workflows and operations of many different businesses. 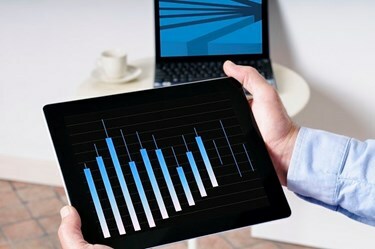 Effective planning and review have long required analytics to give companies insight into the wide-ranging consequences of the many decisions they make on a regular basis. Using predictive analytics can help businesses address specific goals; here we’ll look at some ways it can be used to solve problems and create growth. If you’re a large retailer with thousands of individual SKUs, you may not have a granular view into the value of all of these diverse items. Which items are lagging, and which are leading? With predictive analytics, you can determine what’s hot and what’s not — drill down into your assortment and figure out how you can make adjustments that will both improve overall performance and better meet customer expectations. And speaking of those customers — or rather, speaking to them — you can manage and improve that relationship using predictive analytics, too. Developing consumer loyalty and expanding positive feelings about brands and products is a universal goal of retail. Analytics goes both broad and deep in addressing this, drawing on demographic data to generalize sectors of the consumer landscape as well as following the shopping behaviors of individual customers — insights that can help formulate better marketing strategies and more effective engagement. On the operational level, predictive analytics can help in a broad range of growth strategies, from selecting potential sites for new store locations to determining the most efficient changes in inventory levels and dispersal. Both on the level of individual stores and at the companywide level, it can forecast revenue and profits by drawing on past information to predict income in the coming quarters, using machine learning and analytical modeling. As alluded to above, broad-spectrum retailers with many product offerings often have trouble correctly determining the value of the SKUs they offer, in terms of how well each one performs. One of the benefits of analytics is helping to find opportunities to eliminate underperforming items. Retailers who use predictive analytics to rationalize and order their SKUs can gain clearer insight into their products’ performance. Moving out low-selling items is one objective of this type of analysis, but increasing inventory levels of high-performing offerings is another part of the overall goal, which is crafting an ideal product mix while avoiding out-of-stock and overstock situations. How does this work? Drawing on existing sales and inventory data and other informational sources, as well as analyzing market baskets and using margin mix modeling, retailers will be able to generate a list of underperforming SKUs, earmarking them for removal without any negative consequences. The result is that revenue remains stable, and overall performance can continue at the same level—while gaining the potential to grow in the future. Taking this careful and particular approach can result in a 1 to 2 percent increase in overall margin — a major, quantifiable benefit from implementing a well executed retail analytics program. In the current changing consumer climate, certain retailers who employ analytics have found that the improvement in their insights and predictive precision is just as important as the strong financial gains. As we see it, in the face of these constant market shifts, another great benefit of predictive analytics is its adaptability. However you choose to use it — whether to optimize your assortment or more effectively reach your customers — an advanced data analytics implementation can pinpoint problem areas, predict growth areas, and suggest best practices to succeed. Mike Kim is a Director at AArete, a global consultancy specializing in data-informed performance improvement, and heads its Center of Data Excellence. He can be reached at mkim@aarete.com.